We at GemsMuse under “The Editor’s Choice” select “Best of The Season” to celebrate best & beautiful in “YOU” through an articulate expression of love for craftsmanship, luxury and individuality. It’s rare for any one to match the size of diamonds from the house of “GRAFF”. Red carpet Diva Angelina Jolie dazzled and complemented her persona with shoulder skimming earrings by GRAFF, weighing a mighty 32.98 carats. 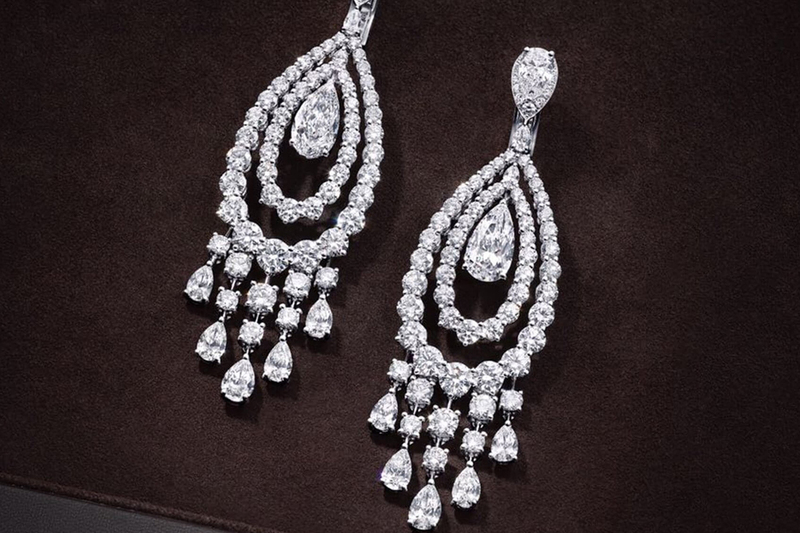 The opulent pear shape design was matched by Juicy Bombé cocktail ring, sculpted with 89 scintillating diamonds. 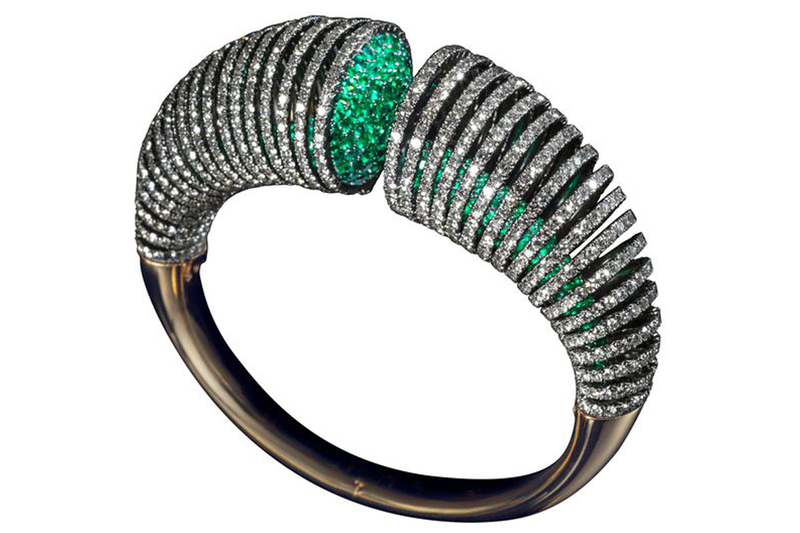 It’s mesmerizing Diamond & Emerald Bracelet by Lauren Adriana. 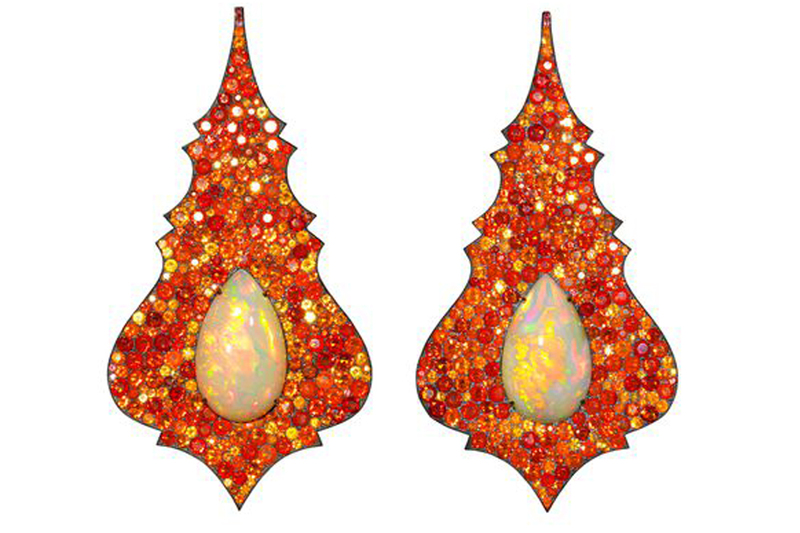 And there is another piece of Earring where Adriana uses Ethiopian and fire opals to create glowing effect. A young British designer has embraced future through her innovative and invigorating designs. These are best of the season in year 2018. She creates only about 20 pieces a year. All are one of a kind and infused with master jeweler’s craftsmanship with a maverick’s vision. Her strength lies in her ability push herself beyond established lines. 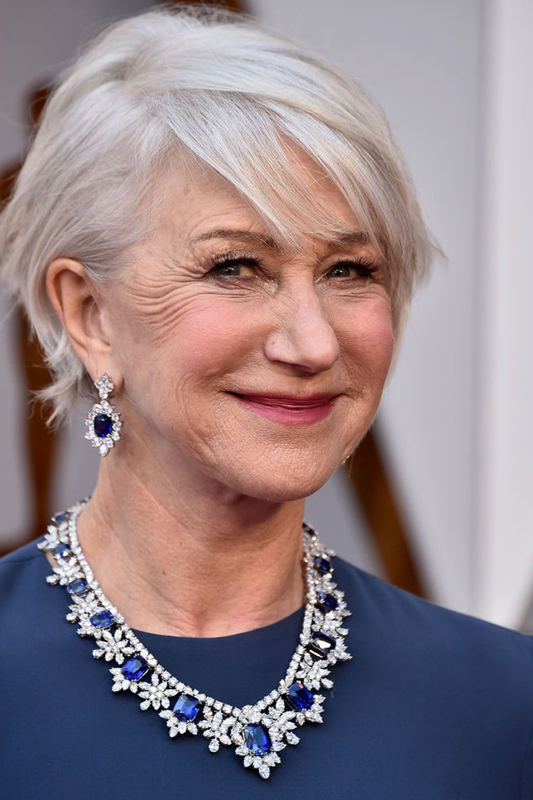 $ 3.8 million worth of sapphire and diamond jewelry by legendary Harry Winston to the 2018 Oscars, including a sapphire and diamond necklace totaling 115.27 carats. And there was another diva Allison Williams at 2018 Oscars wearing scintillating Harry Winston earring. 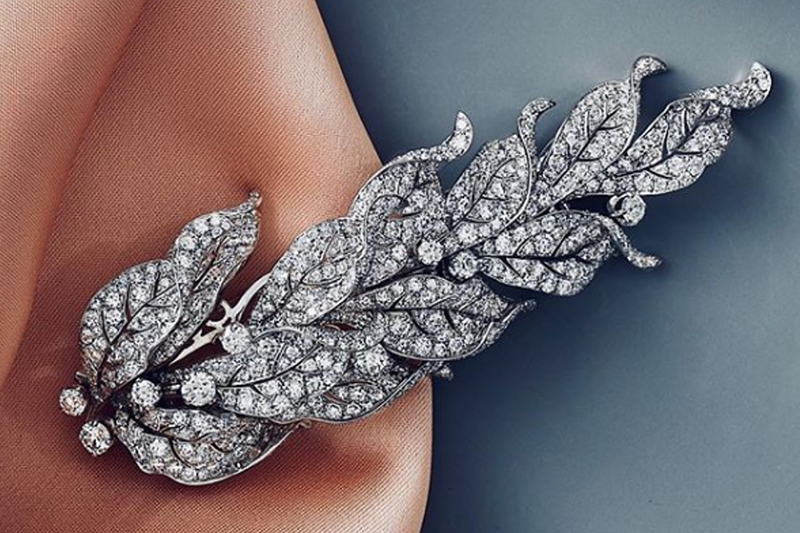 Paul Flato was well known for “witty and flamboyant designs” and Art Deco jewelry. 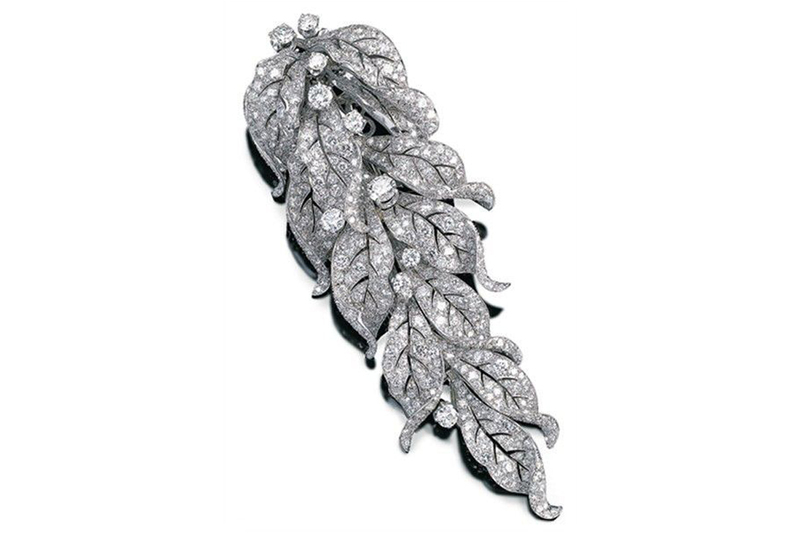 Some of his most famous pieces include platinum and diamond jeweled ribbons, scrolls and flowers. “An apple blossom necklace for Lily Pons, the opera singer, wrapped around the neck and opened in the front with diamond blossoms cascading on either side. A rose became a rambler that twined around the wrist on a baguette-cut diamond stem sprouting rose-cut diamond buds” wrote the New York Times in his obituary. He started a trend with black enamel and jeweled encrusted initials, and his solid gold screw and nut cufflinks were featured on the cover of “Masterpieces of American Jewelry”, a book released with an exhibition of the same name, organized by the American Folk Art Museum in 2004, which featured seven Flato pieces.